Moheeb Zara has taken a USB OBDII adapter, a Raspberry Pi, a GPS module and a Hologram Nova USB GSM modem and created a car fleet tracker. The project enables him to track a vehicle, or vehicles, geographically and map against it the OBD data coming out from the car’s diagnostic port. 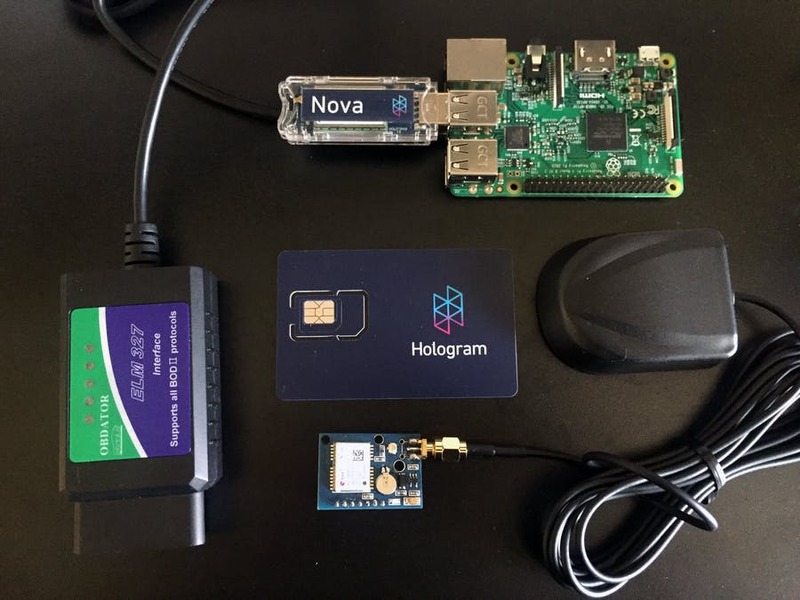 This data is transmitted by the Nova across the GSM network to an Adafruit.io dashboard. He’s written the whole thing up on Hackster.io and all the code and instructions can be found on Github.